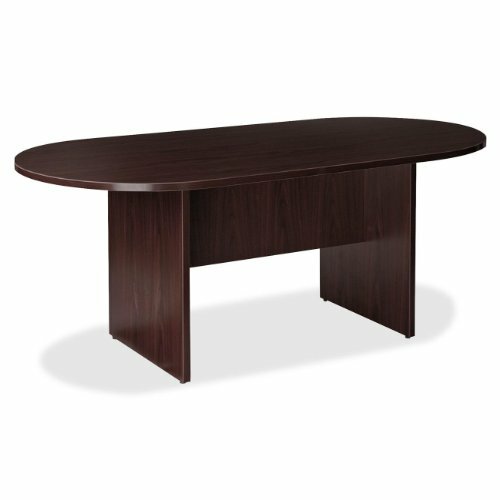 Racetrack conference table can be used alone or with Lorell Prominence 79000 Series Executive Furniture. The core is made with 45 lb. density (E-1 rated) particleboard for durability and finished on both sides with high-performance thermally fused melamine laminate that is mar-resistant, burn-resistant and impact-resistant. Top is 1" thick with 3mm edge banding. Table also features 3/4" adjustable glides for stability on uneven surfaces.